What gives rise to the spiritual magnetism of the Holy Isle of Iona, located off the west coast of Scotland, which seems to elevate it above numerous other “holy isles” dotted around the globe? An almost universal recognition that somehow this sacred Isle is set apart from other earthly sites of spiritual sanctity. 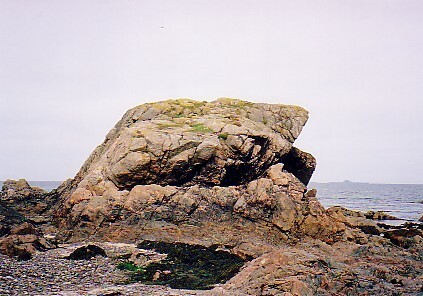 This holy Isle’s primary claim to historical fame has resulted from the Christian mission of the Irish Saint Columba who came to Iona during the 6th century A. D. This is reflected in the name Icolmbkill (the Isle of the cell of Columba) which was subsequently bequeathed to the ancient Isle. 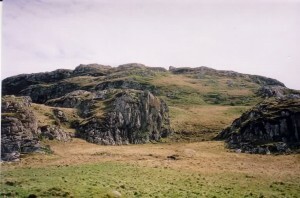 But long before the time of Columba, Iona had been known by the old gaelic name Innis nan Druidhneach which translates as the Island of the Druids. Moreover, it appears that Iona was a primary seat of learning for the pre-Christian Celtic Druid Magi. Aylett Sammes, in his work Britannia Antiqua Illustrata (1676), states that Scotland was supposed to be the “Original and Capital Seat” of the Druids, and writing about the Druids, the Scottish researcher Lewis Spence says: “Their chief seat in Scotland was the Island of Iona (The Mysteries of Britain, 1928). More recently, after visiting Iona during the 1950’s, two spiritual seekers, George and Helen Sandwith, relate: “What is the magic in the name Iona which lures men and women from the far corners of the earth to the tiny rocky island off the west coast of Scotland? Surely not the scenery, for there is more magnificence on the mainland of Scotland. It must be something deeper. Something knocking on the heart which speaks of mystery and holiness, of dreams and truths which have outlived time…. There is an indescribable atmosphere in Iona as if a ‘Presence‘ dwells in the hallowed soil of the tiny island which has been washed by the waters of prayer down through the ages. Hallowed and blessed by St. Columba and countless Christians for about 1,400 years, as well as by those who were there long before St. Columba, is it any wonder that an aura of spiritual peace surrounds the island (The Miracle Hunters, 1959). Could it be that this sacred Presence noted by the Sandwiths has to do with the possible presence of Christ Himself on Iona? 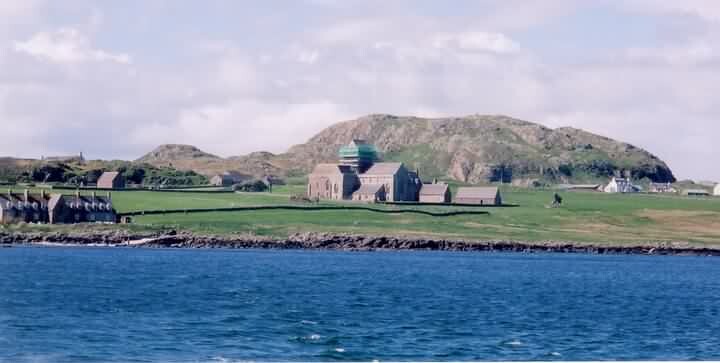 The Scottish literary writer, William Sharp, in his essay Iona (1900) refers to “the old prophecy that Christ shall come again upon Iona.” This presupposes that Christ had already visited Iona according to an ancient oral tradition. Curiously, just 80 miles due north of Iona is to be found another small Hebridean island, located in Dunvegan Bay, off the west coast of the Scottish Isle of Skye. It is called Eilean Isa (currently spelt Isay) which translates from the gaelic as the “Island of Jesus”. Isa is the Middle Eastern arabic name for Jesus, whereas His name in gaelic is Iosa. So why do we find the appellation of this island with the arabic spelling rather than the gaelic? Interestingly, there are no religious sites on Eilean Isa or anything to suggest that it’s name was conceived from a religious dedication. So it could be conjectured that the “Island of Jesus” was so named as a result of it being sanctified by the presence of Jesus (Isa) Himself. During the early centuries A. D. a placename was often given to record the actual presence and sanctification of a specific place by the early Celtic Christian monastic saints. Could this explain the appellation of the “Island of Jesus” to record the actual presence of Jesus on this particular Island. Furthermore, while visiting the Scottish Hebridean Islands around 1895, Henry Jenner, a former keeper of the manuscripts department at the British Museum in London, came across an intriguing oral tradition. 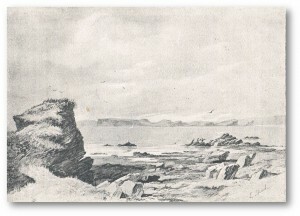 In an article published in The Western Morning News in 1933, Jenner wrote “I was staying on South Uist, in the Catholic part of the outer Hebrides, and found there a whole set of legends of the wanderings of the Holy Mother and Son in those Islands.” Taking the foregoing associative elements into account the idea that Jesus (Isa) might actually have visited Iona may not be as far fetched as would at first appear to be the case. 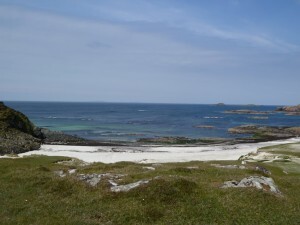 Enlarging upon the Iona prophecy as related by William Sharp (Fiona Macleod) in his essay on Iona, this author relates: “When I think of Iona I think often, too, of a prophecy once connected with Iona…. the old prophecy that Christ shall come again upon Iona, and of that later and obscure prophecy which foretells, now as the Bride of Christ, now as the Daughter of God, now as the Divine Spirit embodied through mortal birth in a Woman, as once through mortal birth in a man, the coming of a new Presence and Power: and dream that this may be upon Iona, so that the little Gaelic island may become as the little Syrian Bethlehem…. the Shepherdess shall call us home. A young Hebridean priest once told me how, ‘as our forefathers and elders believed and still believe, that Holy Spirit shall come again which once was mortally born among us as the Son of God, but, then, shall be the Daughter of God. The Divine Spirit shall come again as a Woman. Then for the first time the world will know peace’.” Interestingly, in the Hebridean mythos Christ is called “the Shepherd of the flocks”, while St. Bride is referred to as “the Shepherdess of the flocks”. (vide Carmina Gadelica). A similar relationship between Jesus and Mary Magdalene is implied in the early Christian gnostic texts. 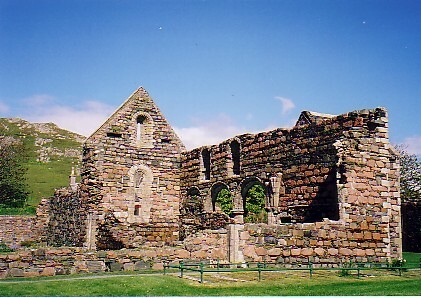 The Nunnery on Iona, a Benedictine Priory founded in 1203 A. D.
Eleanor Merry also remarks: “In the Gospel of John we find something quite different. The Mother of Jesus, Mary-Sophia, is to be united with the beloved disciple: ‘Woman, behold thy son!’ John takes the divine Wisdom of the world into his heart. And the last words from the Cross are: ‘It is finished’. What is finished? Not the mission of Christ, because its fulfilment is hardly begun. But the ‘contraction’ of the whole spiritual Universe into the material creation of man and the Earth – that was finished. The ‘expansion’ was to begin; the redemption of the divine Wisdom by man was to begin. The Book of Revelation looking far into the future was its first- fruits…. John gazes with Eagle-vision into the infinite future evolution of the world, and writes of the past: ‘It is finished’…. John crosses over from past to future, because he has the secret of the Creative Word which continues: ‘I am with you always, even unto the end of the world.’ He sees the future because he has understood the Beginning. He is united with the divine Wisdom Sophia-Mary, whose symbol, from the Father, is the Dove. The Eagle of vision becomes the ‘Dove of the Eternal’. John, through the ‘John Christians’, carries into the future the Mysteries of the Word from East to West. Out of this there arose what became known in the ninth century as the Wisdom of the Grail, whose Knights had the emblem of the Dove on their armour. But first it had to be united with the stream of the Celtic Mysteries of the West, brought Eastward to Europe by the pupils of St. Columba. And this union is already foreshadowed in the words of the daughter of the West, Bride: ‘My garment‘ (Western Mysteries) ‘shall be laid on the Lord of the World‘…. “Anyone who studies the Celtic legends and traditions which are linked with the early centuries of the Christian era, will be impressed by the atmosphere of beauty that pervades them. Mingled with the fragments of an ancient Druid culture and wisdom there is the childlike purity and ecstasy of a Christianity quite unlike that which is to be found later. It is enclosed like a delicate seed within the old and dying splendour of the Great Mystery Centres of Ireland; it is a Christianity that, in its pristine purity is no longer to be found on the surface of civilisation. It is still hidden in the hearts of a few, and in solitary places. More than any other writer Fiona Macleod was its apostle; and he longed for its true history to be made known through the story of Iona: ‘What a book it will be! It will reveal to us the secret of what Oisin sang, what Merlin knew, what Columba dreamed, what Adamnan hoped: what this little ‘lamp of Christ’ was to pagan Europe; what incense of testimony it flung upon the winds; what saints and heroes went out of it; how the dust of kings and princes were brought there to mingle with its sands; how the noble and the ignoble came to it across long seas and preilous countries…. And how, slowly, a long sleep fell upon the island, and only the grasses shaken in the wind, and the wind itself, and the broken shadows of dreams in the minds of the old, held the secret of Iona’. 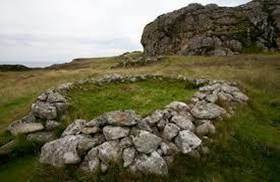 The foundations of Celtic Christianity had a peculiar and deeply esoteric quality.” As mystical Iona played a central role in establishing these foundations of Celtic Christianity in the past, is this sacred role to be carried forward into the future in some profound way effecting the spiritual evolutionary course of humanity? 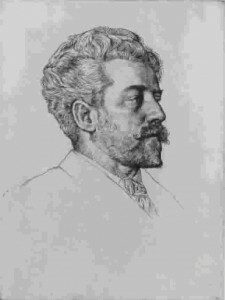 Writing in 1904, William Sharp (Fiona Macleod) dedicated his final literary work The Winged Destiny: Studies in the Spiritual History of the Gael to his friend Dr. John Goodchild, a keen researcher into the ancient history of Glastonbury and the origins of the Christian Church in the British Isles. Goodchild had seen Iona as one of a sacred triune of holy sites, the other two being Glastonbury and Devenish Island in Ireland. Addressing Goodchild, Sharp writes: “The South is beautiful, but has not the secrets of the North. Do you, too, not hold Iona, motherland of all my dreams, as something rare and apart, one who has her own lovely solitude and her own solitary loveliness that is like no other loveliness? In your heart, as in mine, it lies an island of revelation and of peace.” Just what exactly is William Sharp alluding to by “the secrets of the North”?